Robert did the first known computational modelling work on intention perception in the mid 70s. His approach involved schemas that comprise a time series of events organized by a goal. 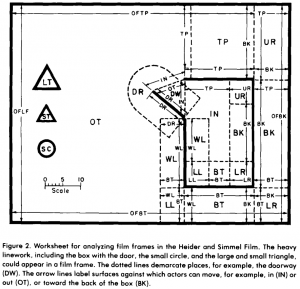 He used the 1944 Heider and Simmel animation, and the agents in that scenario are presumed to have some of the goals of Robert’s schemas, and to pursue those goals via the events or actions organized by the corresponding schema. 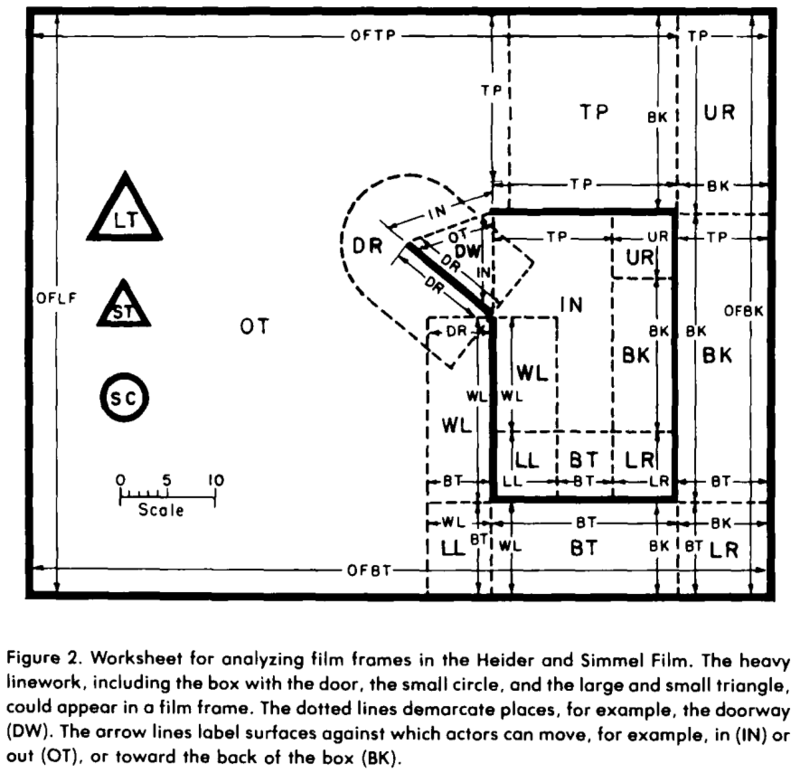 This work preceded computer vision, or other ways that animation might be handled automatically, so he manually created schematic representations of each animation frame; as a simplification, he divided the animation stage into regions, as shown below from an early manuscript. Robert’s work is discussed in a little more detail in my talk about the different computational approaches to this topic.